The KT Training botox courses in London will be held at The HB Clinic, 12 Beauchamp Place, Knightsbridge. We also provide training at the Buckinghamshire and Wiltshire training centres. All KT Training courses are held in a clinic environment and include hands on treatment time with patients. The foundation dermal filler and BOTOX training courses are held in Knightsbridge or Harley Street, London. These courses are scheduled on weekends and are held every month. We also schedule advanced cosmetic courses and master classes at the London venues. With lots of botox courses in London to choose from it can be difficult to find to best course provider. Why choose our botox courses in London? Some reasons why you may wish to consider a KT Training course. KT Training is the most established provider of botox courses in London. Established in 2005 we have many years experience in the field of aesthetic medicine. 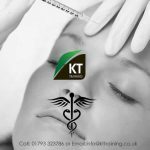 KT Training were the first company to introduce the botox injection workshops in Harley Street, London. We developed the hands on practical workshops as a standard for all our training courses. We were the first company to introduce the cosmetic models program. This program ensures our candidates participated in hands on injection with patients during our workshops. We provide all your patients and provide insurance cover for your injection time. The venue is Octagon Ortho on Amersham Hill next to High Wycombe train station. Introduction, advanced and master classes are held at this location. This venue is only 25 minutes by train from Marylebone Station in London. It has easy access from M4 and M40 with parking available on site. Heathrow airport is 25-30 minutes by taxi. Buses from Heathrow Airport will take approximately 1 hour. The Wiltshire training venue makes the courses easily accessible for medics from London the South and Wales. This venue is only 1 hour by train from Paddington Station, London. Easy access from the M4 with parking available on site. To enquire about any course please contact the KT Training admin office. Please note the scheduled cosmetic training courses are only held at the clinical training centres in London, Buckinghamshire and Wiltshire. We can also provide tailored and bespoke courses at your clinic or at one of our training locations. Call 01793 323786 or email info@kttraining.co.uk.